Meet the fabulous sister duo, Ellis Anne & Anya. Both have been on quite a journey! Now, at seven years old Ellis Anne is a happy little girl who can run and play with the best of them. God had a plan for Ellis Anne and the rest of the Lynch family, including her adopted sister, Anya. Anya was adopted from Russia when Ellis Anne was a little under two years old. 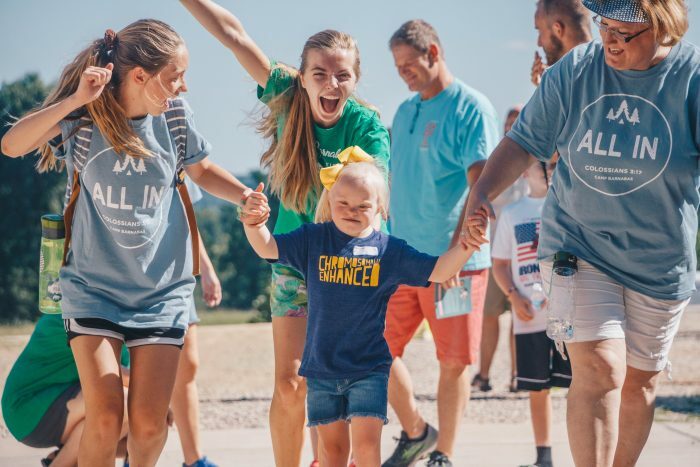 Their mother heard about the International Adoption Advocacy Organization, Reece’s Rainbow, and when she was looking through the pictures of all of the children that needed families, she stumbled across a girl that looked almost identical to Ellis Anne! The Lynch family immediately felt called to adopt her, and Anya was welcomed into the family. Anya arriving at Camp Barnabas for the first time. 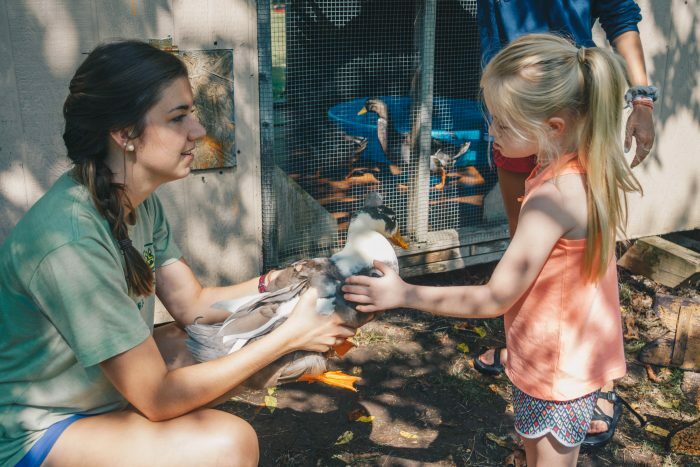 Question: What does Camp Barnabas mean to you? 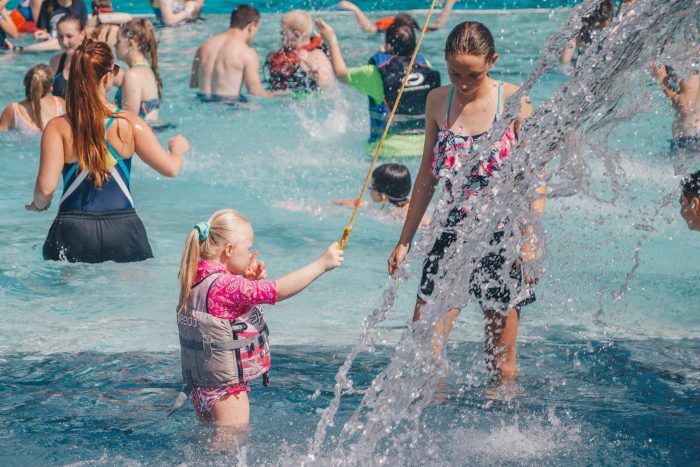 Ellis Anne: Camp Barnabas means that I get to swim almost every day, and it also means that I get to sleep at camp. 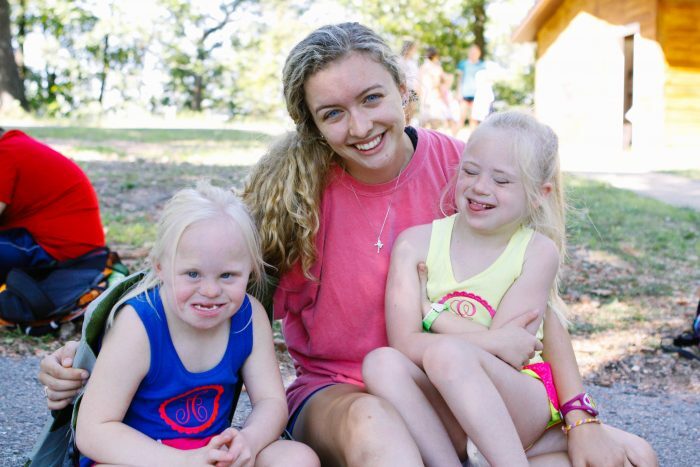 Anya: Camp Barnabas means that I get to be the center of attention! Question: How many years have you attended camp? Both: One year–this past summer! Anya having so much fun in the swimming pool. Question: What is your favorite thing about camp? Anya: Dressing up for the parties and getting lots of attention! Ellis Anne: Red, but I like to change my favorite color too! Anya: My favorite color is yellow, but sometimes I decide it’s green instead! Anya and Eliis Anne with their staffer. Question: What is your everyday life like? Question: What do you love to do when you are not at camp? Ellis Anne: I love to go to school when I’m not at camp! When I’m not at school, I enjoy staying home with my family. Recently, I started being able to ride the bus to school and I love it when the bus comes to get me every morning! Anya: I love to go to school when I’m not at camp, and I also love to go anywhere with my family. Recently, I got to see my sister, Mary Claire, dance in the Nutcracker. Question: What’s daily life like? Stephanie (Mom): Life is always very busy with Ellis Anne and Anya! With 4 kids in our family, we stay very busy attending everyone’s activities such as dance, basketball, therapies, and doctor appointments! Ellis Anne and Anya are both very busy girls and if you turn your head, Anya could be caught leaving the house at any moment. Ellis Anne enjoying petting ducks in the garden. Question: Will you keep coming to camp? Both: We will keep coming to camp because it is a week that is centered around us and we get to do so many fun things. 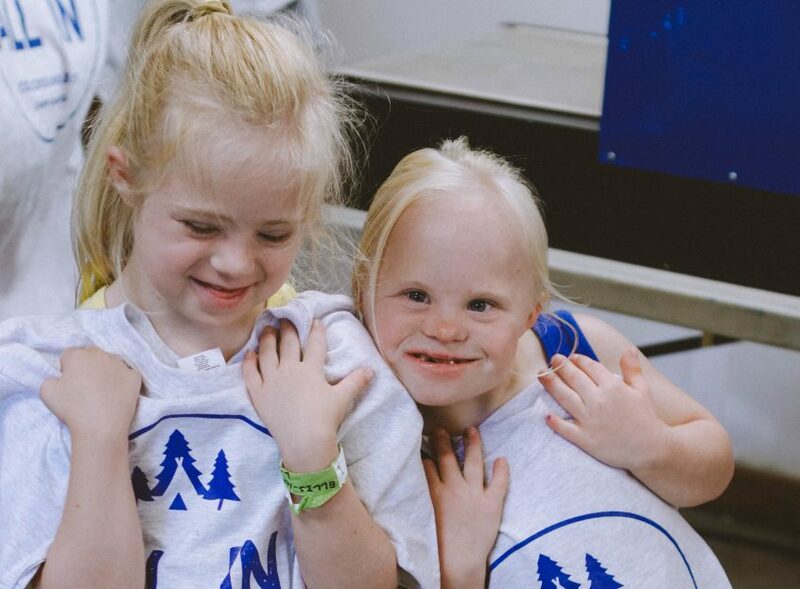 We love how much one-on-one attention we get from our buddies, and we love sleeping at camp. Question: What is your biggest dream/goal? Stephanie (Mom): We have lots of dreams and goals for Ellis Anne and Anya. I guess one of the biggest dreams for them both would be that as they transition from school when they are older, that they would have the skills necessary to fully participate in society and to become successful, contributing adults. Thank you for sharing about your incredible family! Can’t wait to see the fabulous duo at camp this summer.